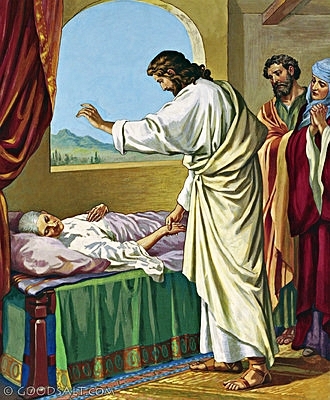 Summary: Jesus didn’t wait for the Sabbath to end to resume His “work.” He brought true Sabbath rest to Simon’s mother-in-law by taking her illness from her. In response, she didn’t wait to thank Him in the way she best knew. Instead, she got out of bed and resumed her vocation, serving Jesus and the others in the way she knew best. Jesus’ vocation as Savior led Him to continue healing, feeding, and casting out demons. He didn’t specialize merely in “saving souls” but ministered to all human needs. What He began during His life on earth will be completed in the Resurrection. Text: And immediately [Jesus] left the synagogue and entered the house of Simon and Andrew, with James and John. Now Simon’s mother-in-law lay ill with a fever, and immediately they told him about her. Audio: Click to hear the MP3 of Service on the Sabbath.